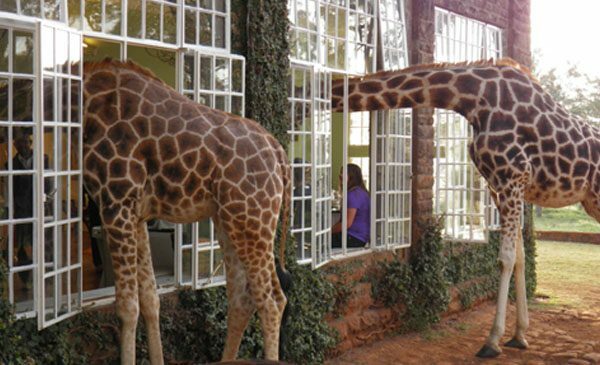 A Kenyan sanctuary that protects the endangered Rothschild subspecies, who aren’t shy to nab a treat from your hands (or lips). 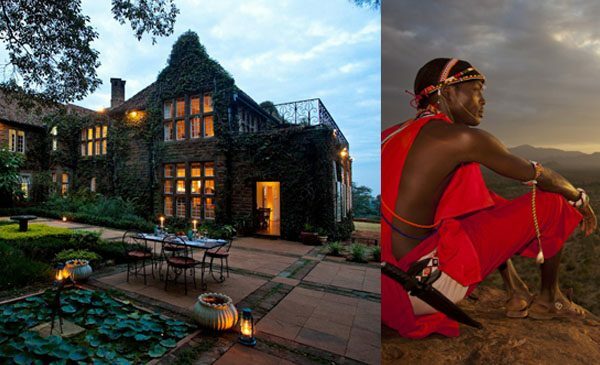 Set on 12 acres of private land within a 140-acre indigenous forest, Giraffe Manor is an ivy-covered 1930s colonial mansion-turned-hotel, with stunning art deco interiors to match. 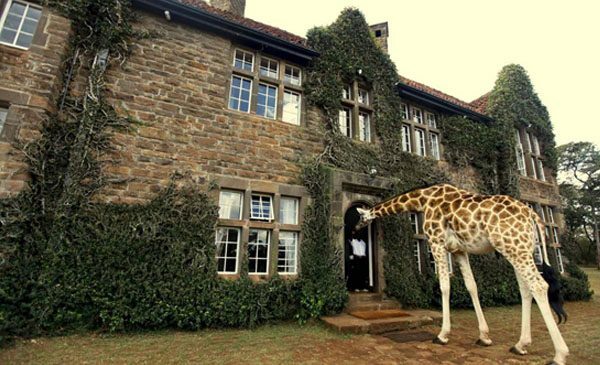 But the true stars of this classic Kenyan home are the 10 rare Rothschild giraffes that roam the property—and aren’t shy about sticking their long necks straight through windows, doors and balconies in search of a nutritious treat. 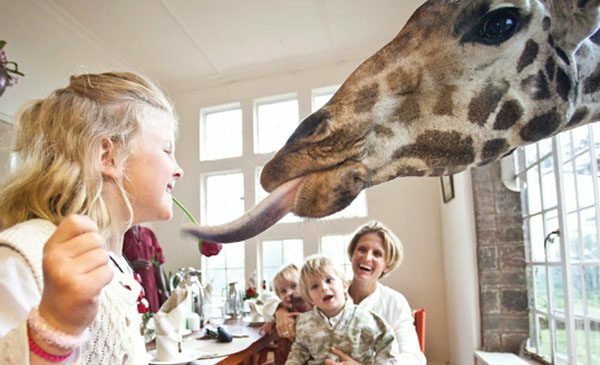 Here, feeding the wild animals is actually encouraged. 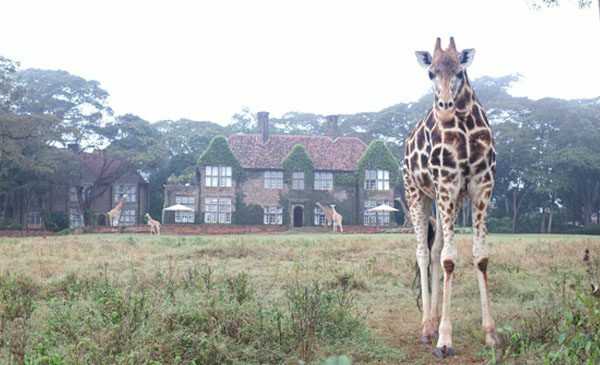 The giraffes—some of which are the third and fourth generations to live at the Manor—approach at daybreak, around 7AM. 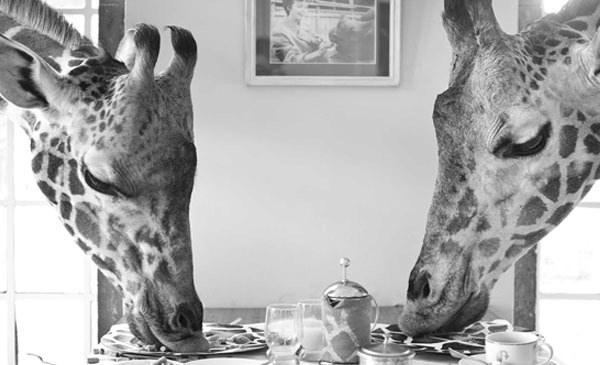 As guests fill the dining room for breakfast, rounded multi-pane period windows are flung open and the gentle giants boldly poke their 12- to 16-foot-high heads inside, mingling with the chandeliers. They’ll dine on healthy pellets off a plate at your table if you’d like (so watch your coffee). 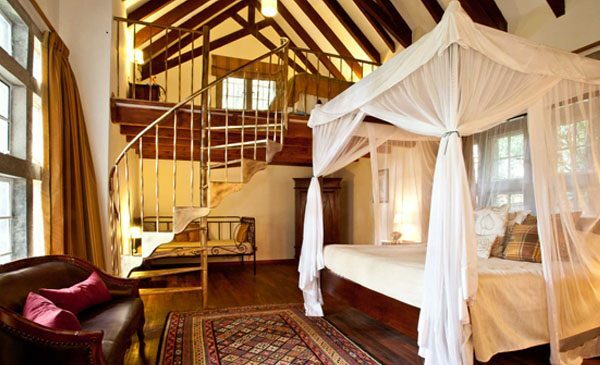 If you’re lucky enough to stay in one of the two rooms that include an outdoor terrace above the dining area—the “Daisy” or “Betty” rooms—simply slide out of your four-poster bed and the giraffes will snack from your fingers while you’re still in slippers. 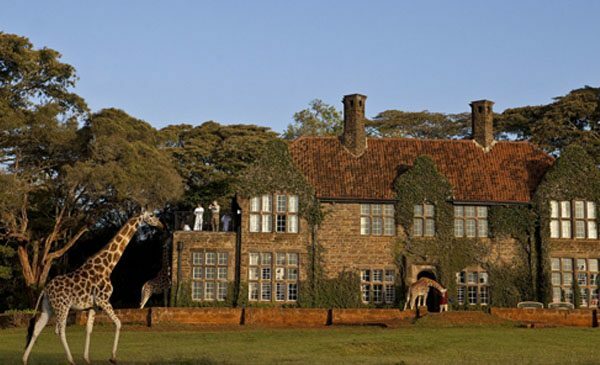 Giraffe Manor is a short distance from Nairobi, located in the Langata suburb with the city skyline visible beyond the sanctuary’s trees. 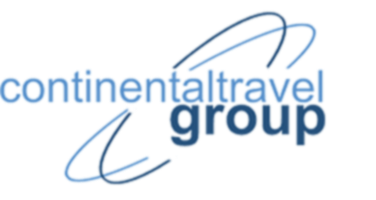 Full-board stay includes all meals and house wine, beer, and spirits, plus airport transfers, transfers to local attractions, and entry to the AFEW Giraffe Center, from $524 per person. Six rooms in the original manor, plus another four in the newer Garden Manor, accommodate up to 24 guests.